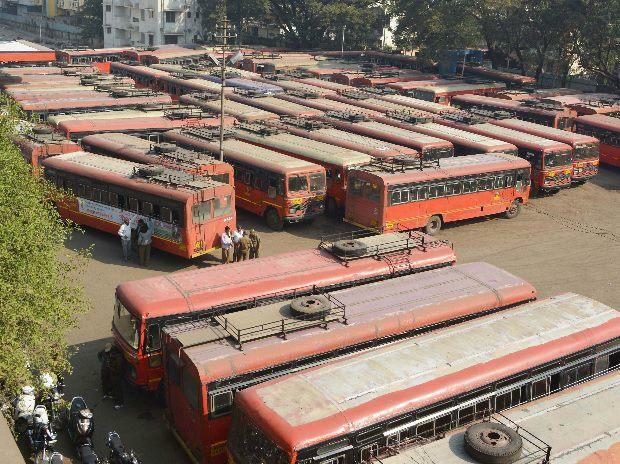 Amid the ongoing strike by the employees of the Brihanmumbai Electricity Supply and Transport (BEST), activists and experts Thursday blamed the Mumbai civic body for not taking timely steps to address the "crisis" in the transport body. The transport experts also called for fresh investment and upgradation of infrastructure to improve the transport services of the BEST. Nearly 32,000 BEST employees have been on an indefinite strike since Tuesday over various demands, including higher salaries and merger of the budget of the loss-making undertaking with that of the BMC. The strike has inconvenienced lakhs of commuters. Transport activist and former journalist Vidyadhar Date has written a letter to Municipal Commissioner Ajoy Mehta mentioning how the civic body could have avoided the situation and saved the commuters from hardships. He urged Mehta to immediately concede to the "just" demands of the striking workers of the BEST. Date, who has written to Mehta on behalf of Aamchi Mumbai Aamchi BEST (AMAB), a forum of citizens for public transport, said the main demand of the employees- merger of the BEST budget with that of the BMC- was in the interest of the majority of commuters. "Like healthcare, education, water supply, waste disposal and sewerage, public transport must be run not to make profit, but as an essential service. This (merger of budget) is necessary for the economic and physical health of the city," he wrote. He said that the AMAB has come up with a "workable, inexpensive and efficient" approach for the revival of the BEST's bus services, suggesting how the transport body can increase bus ridership, improve the service quality and reliability as well as improve its coverage and access. "The impression gained by the discerning public is clear that the BMC and the government do not want to hear or consider any sensible means to address the problems of the city's affordable public transport service. "They continue to remain dogmatic, autocratic and tight-fisted pushing through their privatisation plans and refusing to subsidise and finance its operations," he said in the letter. "At the same time, the BMC is cutting down routes, increasing bus fares, and denying workers their dues," he said and further alleged that the civic body had done "absolutely nothing" to address why the BEST was reeling under crisis. He also mentioned that over the past five years, nearly 18 per cent of the BEST routes were discontinued, the size of its fleet was reduced by 21 per cent and 7,200 staff positions were scrapped causing non-availability of employees to operate the buses. Another transport analyst Hussain Indorewala said the BMC and the BEST need to invest money to address the core infrastructural issues. "BEST management has been on investment strike since many years. We need to stop this first. This is the reason why the BEST services have not improved. So, fresh investment is the need of the hour to address the core issues," he said. "Besides this, the BEST also needs the same attention that was given to construct the Bandra-Worli Sea Link or the Eastern Freeway. Only car-centric projects should not be our priority," he said. Jitendra Gupta, another expert on transport issues and a member of Citizens' Transport Committee, a city-based forum, questioned the government's ability and intention to end the strike. "This strike has proven that the government agencies be it BEST, BMC or state government are least bothered to address the issues. BEST is financially bleeding because of poor management of the undertaking since so long and it (strike) was bound to happen," he said. "As a long-term solution, the administration should start 10-seater vehicles for public transport. This will break not only the BEST's monopoly, but also that of the autorickshaws and taxis as well," Gupta said.